Arthritis is the bane of old age. 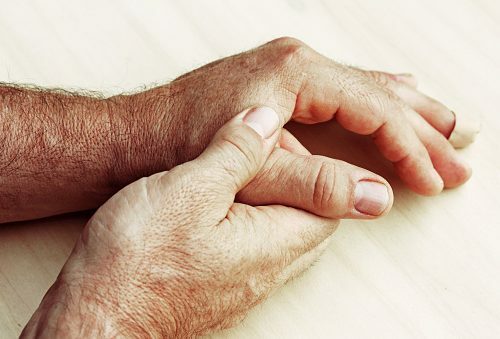 Inflamed joints, swelling, pain… Even if you don’t have arthritis, you surely know a few people suffering from this chronic disorder. An umbrella term referring to over 100 types of joint disease, arthritis affects about 53 million adults in the U.S. alone. Medications are often prescribed to ease the symptoms and improve patients’ quality of life, while surgery is an option in more severe cases. Yet, if you’re looking for a natural way to alleviate your arthritis—or if you’re being proactive and want to take some preventive measures—look no further than your diet. As mentioned, arthritis is an inflammatory condition, meaning that you can reduce your pain and other symptoms by consuming a diet rich in anti-inflammatory foods. Take note of the following kitchen staples as they can make your life easier and less painful. Olive oil. What is olive oil not good for? Because of its high content of essential fatty acids and anti-inflammatory properties, olive oil should be your oil of choice. If you don’t like cooking with olive oil, opt for canola instead. Nuts. Red meat may promote inflammation, so try replacing your serving of meat with a quarter-cup of nuts. You will meet your protein needs without worrying about saturated fats and cholesterol. Just make sure you buy the unsalted variety. Whole grains. If you’ve already made a switch from white bread to whole grain, let’s take it one step further and diversify your diet with additional whole grains like quinoa, bulgur, or barley. They make a perfect side and are a great source of fiber and nutrients. Ginger. Well-known for its medicinal and anti-inflammatory properties, ginger adds a zesty touch to any dish or drink. Even if you’re not a fan of this flavorful root, give it a try. Add some minced ginger to a stir fry or put a slice into your tea. You will gradually get used to the taste and will feel more comfortable using it to cook. Salsa. A fun way to boost your intake of vitamin C from tomatoes, onions, bell peppers, and other veggies. Eat it as a dip, side dish, or sauce. Apples. Another awesome snack option rich in fiber and antioxidants. “An apple a day keeps the doctor away” is a saying for a reason. Dark chocolate. Yes, you can have chocolate too. Just make sure it’s at least 60 percent cocoa. Antioxidants in dark chocolate will take care of inflammation, while the high cocoa content prevents you from overindulging in sugar. A half an ounce is a good daily dose. As you can see, an anti-inflammatory diet is not as boring as it sounds. Adding these foods to your daily menu will please your palate and your aching joints too. Whether you are suffering from arthritis or are simply looking for a way to improve your health, these foods will only benefit you in the long run.